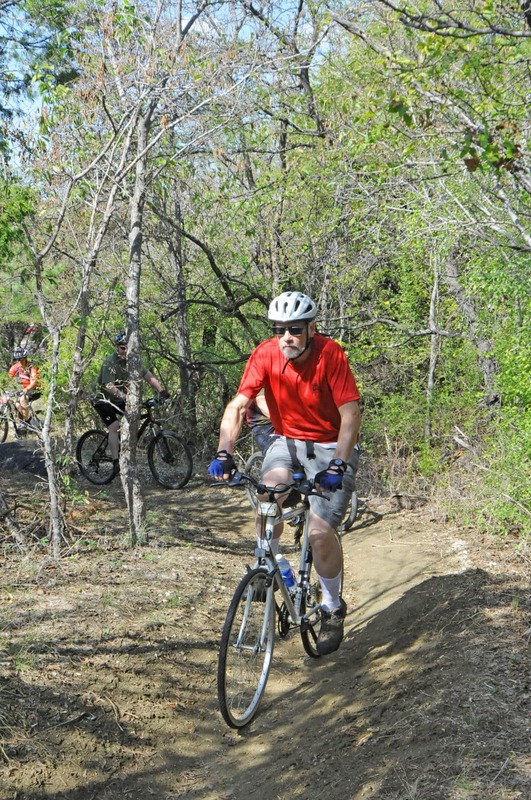 Guided bike tours on the Dallas Off-Road Biking Association (DORBA) Trail at Cedar Hill State Park. CEDAR HILL—Recently, Cedar Hill City council members gave city staff the green light to submit an application for funding a multi-use Cedar Hill pedestrian trail. The application will be submitted to the North Central Texas Council of Governments (NCTCOG) as part of the Transportation Alternatives (TA) Set – Aside Program. Funding would be for the design and construction of a multi-use trail during fiscal year 2017-2018. The main goal of the transportation project would be to better accommodate pedestrians and bicycles traveling on South Clark Road from East Beltline Road to Red Oak Creek Trail. Still in the initial stages, the approval of the resolution is a requirement before the application can be filed. It follows the City Council’s vision regarding leveraging funds for improvements for the proposed hike/bike trail. These projects make non-motorized riding safe, convenient and appealing for all users. Upon completion, the pedestrian trail will be a 10’ to 12’ non-motorized track and crosswalk. The South Clark Road Trail is a high priority of the Middle Loop Core hike/bicycle trail as identified in the city’s 2012 Parks, Recreation, Trails and Open Space Visioning Master Plan. The trail will also provide connectivity into the Red Oak Creek Trail, various schools, businesses and local neighborhoods. It will also continue to build upon the community’s support for more walking, bicycling and green sustainability by supporting non-motorized transportation. The approval of Statewide Transportation Improvement Programs (STIP) will be announced at the end of the year. The Transportation Alternatives (TA) Set Aside program funding opportunity requires a minimum three percent local match of the total project cost. The cost of the project must be a minimum of $150,000. The cost that will be detailed in the initial submission of the application for the project is $1M with a local match of $300,000. In December, 2016, The Regional Transportation Council approved on approximately $23 million for potential projects.